This gorgeous polish is a first for me and it was a gift from a friend. 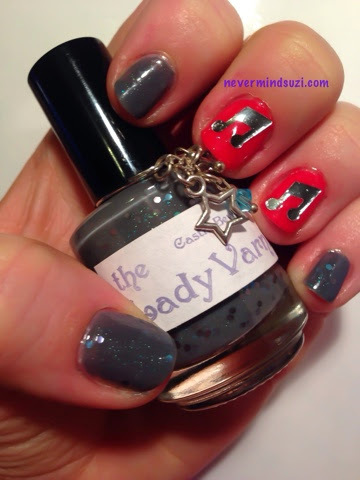 The Lady Varnishes - Castle Beyond the Goblin City, is a Labyrinth themed polish. I have a bit of a love/hate relationship with the Labyrinth... I love the concept of it and David Bowie is amazing as is the music in it. However even at the age of 29 goblins and the thought of them petrifies me! So I watch the movie with my eyes closed mostly. 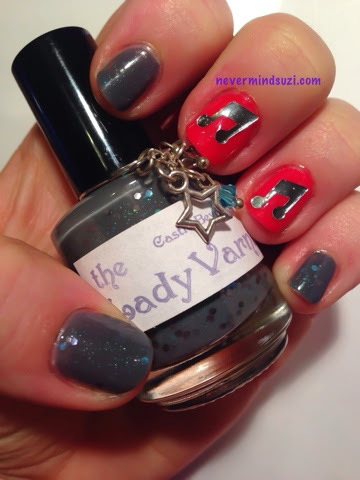 This is a stormy grey polish full of blue glitters and shimmers, gorgeous! 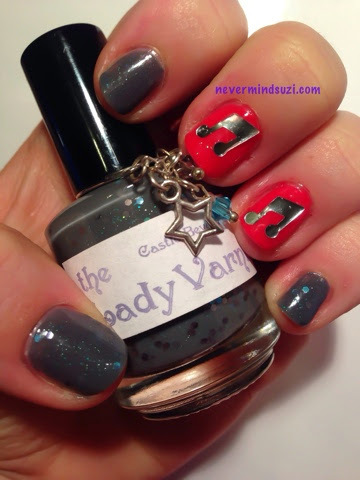 On my accent nails I'm wearing a random Minnie Mouse - Red from Poundland topped with some music note decals. I was going for a "Dance Magic Dance" theme here. 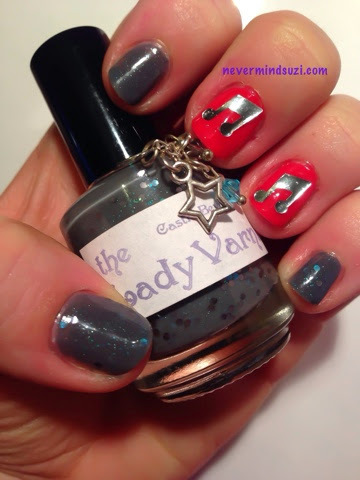 Cute, I love Labyrinth and I love this range of polishes!